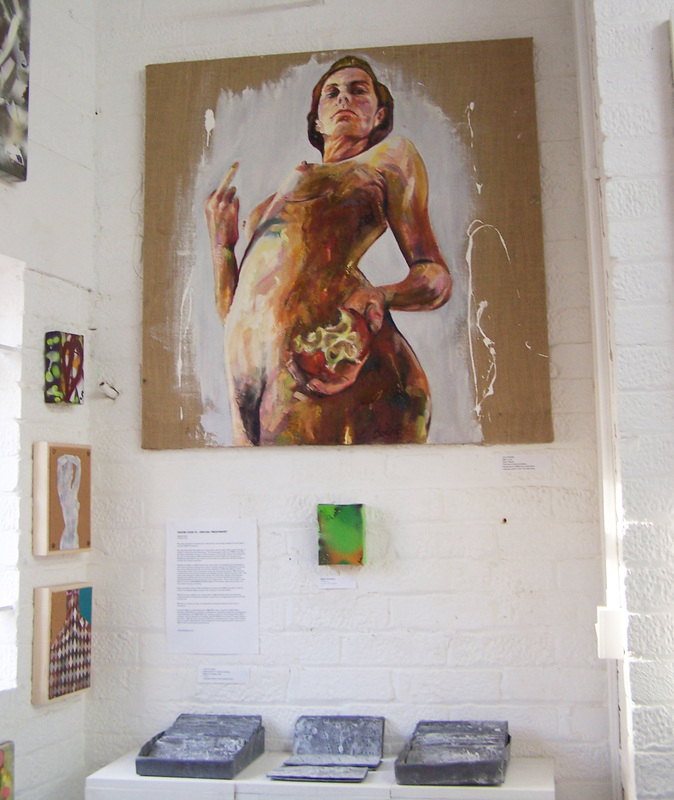 ONE YEAR ON THE CORNER, FIRST THURSDAY, FREE ART FRIDAY, GET YOUR SHOES ON.. So we’ve been on our Vyner Street corner for one whole non-stop year or art and what we’d like to think have been 37 rather vibrant shows, exhibitions, events and such. We opened our Greatest Hits retrospective celebration show last Thursday, big thanks to all who came to the opening or who have been in since. 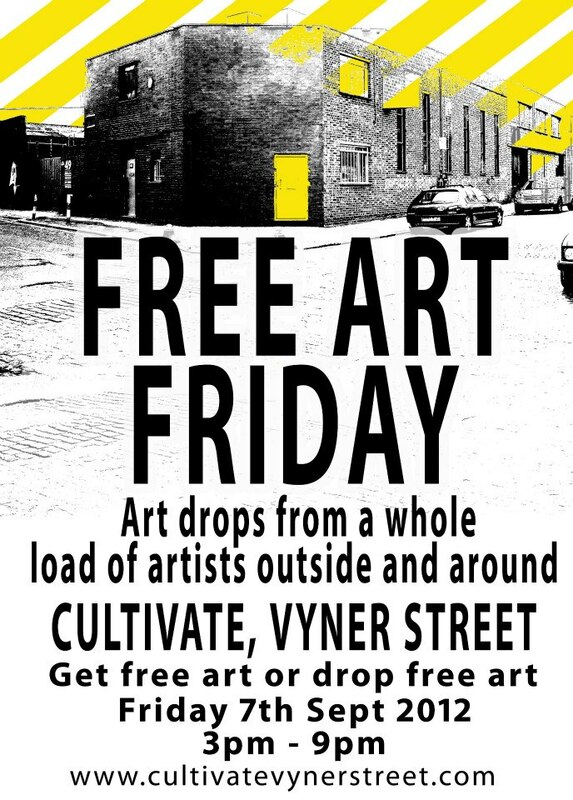 FREE ART FRIDAY – 3pm until 9pm, Friday 7th September, outside Cultivate gallery, Vyner Street. As part of first year of Cultivate celebrations, the Greatest Hits retrospective, and one year of flying our flag down Vyner Street, we shall have another of our Free Art days. We’ve been doing them throughout the year at Cultivate, our artists have been leaving free art outside all year, or indeed inside…. Time for another free art day.